THERE IS a view that a fractured global order can be mended like a broken leg, and over time might emerge stronger for it. But this is probably a naive fantasy, argues Sean McFate. Instead, the West needs to look opened-eyed at a new “durable disorder”—a period which, like the middle ages, is typified by a complex and occasionally violent interplay of state and non-state powers. Modern conflicts—be it Trump’s rise, the annexation of Crimea or even Brexit—don’t look like classic battlefields, he asserts. “When Russia wants to destabilize Europe, it does not threaten military action, as the USSR did. Instead, it bombs Syria. This tactic drove tens of thousands of refugees into Europe and exacerbated the migrant crisis, instigating Brexit and stoking anti-establishment politics across the continent,” he writes. Mr McFate’s background is as original as his thinking. A bookish student and violinist at an Ivy League university, he chose to become a paratrooper in the American army, and later worked as a mercenary in Africa. 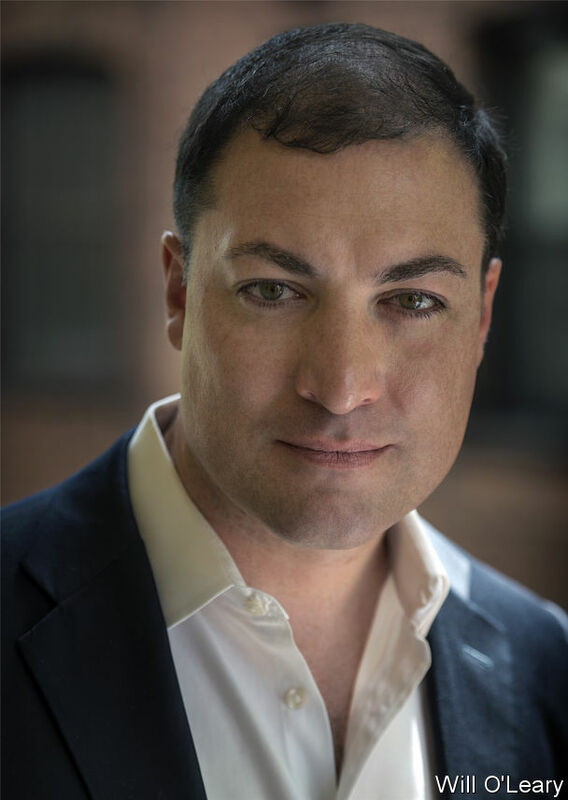 Noticing that careers in that trade tend to end early, he earned a few more degrees and now teaches strategy at Georgetown University and the National Defense University in Washington, DC—when he is not writing novels or zealously attending opera. The Economist’s Open Future initiative interviewed Mr McFate about modern conflicts. His replies are followed by an excerpt from his latest book. The Economist: What is the age of “durable disorder”? And what are the implications for how we need to interact if we’re in a new political setting? Sean McFate: Durable disorder is what’s left behind after the Westphalian system of nation-states retreats. It’s not anarchy. Rather, it is a global system that contains rather than solves problems. It is the new environment for war, and we are unprepared for it. Old strategies fail, and armed conflicts smolder in perpetuity. Much of the world is already experiencing disorder, a trend that cannot be reversed. Mercenaries are resurrecting globally, and war is becoming privatised once more. This allows the super-rich to become super-powers, and we can expect to see wars without states. Warfare is changing but we refuse to recognise this new reality—or adapt to it. We buy, train, deploy and fight according to rules that don’t apply anymore, and then are frustrated by the outcome. The Economist: You often say in the book that wars will be fought “in the shadows”. What do you mean by that? Is the West prepared for it? Mr McFate: Plausible deniability is more decisive than firepower in the information age, and this is driving war into the shadows. Russia could have blitzkrieged through Ukraine, but instead used covert means: special forces, “little green men,” proxy militias and mercenaries—all while waging a disinformation campaign. The Kremlin’s “kill ’em with confusion” strategy worked. By the time the international community figured it out, Russia’s conquest of Crimea was a fait accompli. Moreover how can the West rally the world to defend Ukraine when the basic facts are in question? It can’t. War is becoming epistemological: telling what is real from fake will decide winners and losers. Meanwhile, the West is stuck in the past. NATO remains tooled to fight the Soviets in the Fulda Gap with tanks and other weapons of conventional war. No wonder we struggle. The Economist: You’ve argued that America is at war right now with China only it doesn’t know it. In what way is it at war—and if so, how does America win? Mr McFate: Traditional strategists view war like an old-fashion lightbulb: it’s either on or off. But this is wrong, and cunning adversaries like China exploit the space between war and peace for victory. The trick is keeping the American war switch flipped to “off” so it remains docile and at “peace.” For example, Beijing goes right up to the edge of war—or what America thinks is war—in the South China Sea and then stops, but keeps what it captures or creates. They engage in “lawfare” that bends—or rewrites—the rules of the international order in China’s favour. This is not the rule of law, but rather its subversion. They have also bought much of Hollywood, making it impossible to cast China as a villain in movies—a brilliant strategic move for the international court of public opinion. China slowly conquers yet we believe we’re still at peace; that’s by design. Curiously, we once fought this way too—the Cold War. The Economist: How do you de-escalate a potential conflict when it starts to creep up—and what do people think works but in fact doesn’t? Mr McFate: There is more to war than warfare, and more to warfare than killing. Understanding this is the key to de-escalation, but many do not get it. Battlefield victory is obsolete now, yet America still invests trillions of dollars in aircraft carriers, fighter jets and killer robots—and ponders why no one is deterred or defeated. The West suffers from strategic atrophy. We yearn to fight conventional wars like it’s 1945, our glory days, and then wonder why we have stopped winning. War has moved on, and our enemies have moved on with it. Today, war is decided in the information space, before the first shot is fired. Diplomacy and traditional statecraft are not enough. We need information dominance and strategic subversion to prevent problems from becoming crises and crises from becoming conflicts. The Economist: Democracies are messy ways to get things done, and seem to be particularly vulnerable to manipulation and exploitation in an age of durable disorder. Autocracies seem to flourish under these conditions. Does this mean that the West needs to loosen its democratic rules, norms and values to withstand the challenge from autocracies? Mr McFate: War is getting sneakier and victory is found in the complicated shadows. However, secrets and democracy are incompatible. The solution is not sacrificing our democratic ideals. Instead, the West should get into the shadows and punch back (and the book explains how). Autocracies are equally vulnerable in durable disorder and there are unique strategies to subvert them. For example, autocrats are often paranoid because rivals are everywhere, ambitious and deadly. The West can exploit this by engineering dissent in the autocrat’s camp. Moscow fears “colour revolutions,” so the West should create them. Traditional warriors will reject a Western version of shadow war, but this cannot be helped. Warfare evolves before warfighters do. The Economist: With respect, I don’t think you’ve answered my previous question—and you’ve offered a “Hollywood ending” that sounds a bit too neat and tidy. So let me press you. Can the West really respond to the challenge as an open society, or will it need to winnow its liberal values to counter the threat? Mr McFate: Done poorly, shadow wars harm the soul of democracy, as the Church Committee on intelligence activities made clear to Americans in 1975. Done well, it need not compromise an open society. Undermining autocracies is easier than undercutting democracies. For example, ridicule is a powerful weapon against dictators, who must manufacture a cult of personality and fear to stay in power. Democracies should “un-manufacture” it. Russia can focus on the Middle East only because it is undistracted by pushy satellite states. It’s time that the West started supporting those satellite states again, as we did in the Cold War, and it will pull out of the Middle East. Distract Beijing by facilitating an insurgency at home, and the Nine Dash Line will fade. Shadow wars require secrecy and subversion abroad. Does it risk blowback at home? Of course. But current responses are not working, and hacked elections compromise democracies too. We must balance freedom with security, as all democracies have done since Pericles’s Athens. The Economist: If politics in the West is failing to confront the challenges posed by the disorder, how can responsible leaders from outside of politics—such as business, NGOs, think-tanks, academia, media and others—work independently of the frayed political system to tackle the modern threats you identify? Mr McFate: Modern victory is won and lost in the information space, not on the physical battlefield. This means civil society rather than government may prove more decisive in future wars. It’s absurd that the West has lost information superiority, given the heaps of talent in Hollywood, on Madison Avenue and in London. If governments can make strategic communication profitable, the private sector can get creative about lampooning Putin riding bears. Academics, think tanks, NGOs and media can help populations become savvier consumers of information, so we don’t fall prey to trolls and bots. Technology can help here; rather than investing in overpriced fighter jets, let’s develop ways to identify the true origins of what we see on the internet. The real power of cyber is influence, not sabotage. Would we fall for click-bait if we knew it was made in China, Russia or North Korea? Of course not. In durable disorder, victory belongs to the cunning and not the strong. This shouldn’t be a problem for us. Political power used to come out of the barrel of a gun, and despots from Mao to Stalin relied on the assurance of steel to persuade the opposition of their righteousness. If the Soviets wanted to send a message to NATO, it usually involved munitions. No longer. Today, when Russia wants to destabilize Europe, it does not threaten military action, as the USSR did. Instead, it bombs Syria. This tactic drove tens of thousands of refugees into Europe and exacerbated the migrant crisis, instigating Brexit and stoking antiestablishment politics across the continent. European law stipulates that all countries must absorb some refugees, whether they want to or not, but the law never imagined millions flooding the border. Germany alone took in nearly a million asylum seekers, requiring $6.7 billion in resettling costs. Other countries took in fewer, but the numbers still exceeded what local populations would tolerate. Political backlash was swift, pushing the continent into its deepest crisis since World War II. Right-wing nationalist parties, once shunned as neo-Nazis, became popular in Austria, Germany, and Italy for the first time since the 1930s. Their anti-immigration stance and Euroskeptic views gained them voters across the continent. In France, Marine Le Pen almost won the presidency for the Front National, a far-right party. In Hungary, the ultranationalist “Movement for a Better Hungary” became the country’s third- largest party. The United Kingdom even voted to leave the European Union, in a move known as Brexit, and others may follow its lead. The deluge of refugees empowered Moscow-friendly Euro- skeptics across the continent, weakening NATO and the pan- European dream. Putin achieved what the Soviets could not by weaponizing refugees rather than threatening repower. This became a crisis for NATO. General Philip Breedlove, the supreme allied commander of NATO and the head of the US European Command, said Russia and Syria had turned migration into a weapon by systematically bombarding civilian centers. “Together, Russia and the Assad regime are deliberately weaponizing migration in an attempt to overwhelm European structures and break European resolve,” Breedlove told the Senate Armed Services Committee. Worse, he continued, terrorists like ISIS have exploited the refugee crisis to infiltrate Europe, using fake passports that are “virtually impossible” to detect. Old Soviet wargames never achieved so much. War has moved beyond lethality. Today, all instruments of national power must be used, not just the ones that shoot. Nonkinetic weapons can be very effective in war, and cunning strategists can weaponize almost anything, including refugee waves. This causes cognitive dissonance for conventional warriors, who place their faith in repower, a concept they call the “utility of force.” In doing so, they’re talking about the effectiveness of violence in conflict, and they rate it supreme. For them, the application of enough force can solve any problem. Such thinking led to the meat grinder of World War I and carpet-bombing during World War II. Today, conventional militaries measure themselves by power. They obsess over “force projection” and “combat power overmatch,” investing in things like the F-35. Force is America’s favorite tool of foreign policy, judging by where it puts its money. Budgets are moral documents because they do not lie. The United States spends twelve times more on its military than it does on diplomacy and foreign assistance. The Department of Defense’s annual eleven-digit budget dwarfs that of all other governmental departments. Defenders of this staggering budget note that it is a smaller percentage of the United States’ GDP now than in the past, as if this somehow represented value. This is a silly justification. America expends more on national defense than China, Russia, Saudi Arabia, the United Kingdom, India, France, and Japan combined. It’s overkill, but force is the oldest anthem of war. The utility of force is declining today. Soon it will be nearly gone. 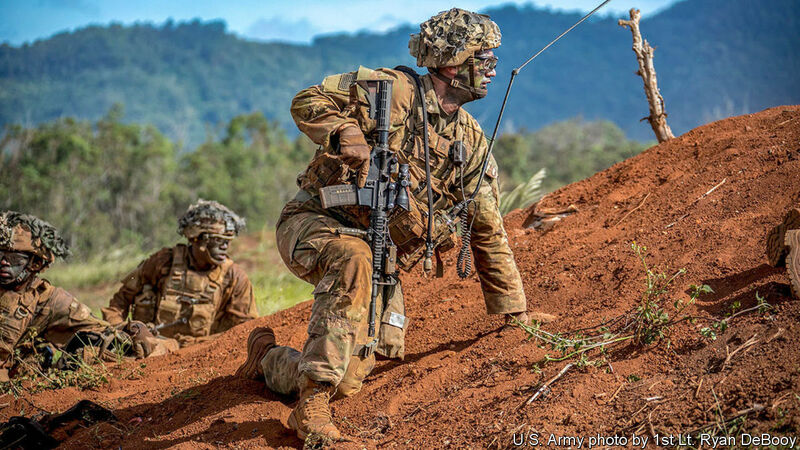 Warfare has changed radically since World War II, rendering force ever-more obsolete—a curious concept that conventional warriors have yet to comprehend. The evidence is stark, though, as weapons designed with a high utility of force—fighter jets, tanks, and submarines—sit in hangars, wait in motor pools, and cruise the ocean, not fighting. Yet war has not decreased. What has changed is the role of force in modern warfare. Changing the way we fight means forging new instruments of national power, starting with how we think. The first step is jettisoning what we think we know about war. Our knowledge is obsolete. The second step is understanding the art of war for the coming age, so that we may master it rather than be mastered by it. In the future, wars will move further into the shadows. In the information age, anonymity is the weapon of choice. Strategic subversion will win wars, not battlefield victory. Conventional military forces will be replaced by masked ones that offer plausible deniability, and nonkinetic weapons like deception and influence will prove decisive. Shadow war is attractive to anyone who wants to wage war without consequences, and that’s everyone. That is why it will grow. Future wars will not begin and end; instead, they will hibernate and smolder. Occasionally they will explode. This trend is already emerging, as can be seen by the increasing number of “neither war, nor peace” situations and “forever wars” around the world. The World Bank’s World Development Report 2011 found that never-ending violence is on the rise, despite all the peace efforts around the world. Social science research confirms this, showing that half of all negotiated peace settlements fail within five years. “War termination” is already an oxymoron. Expect this trend to grow. 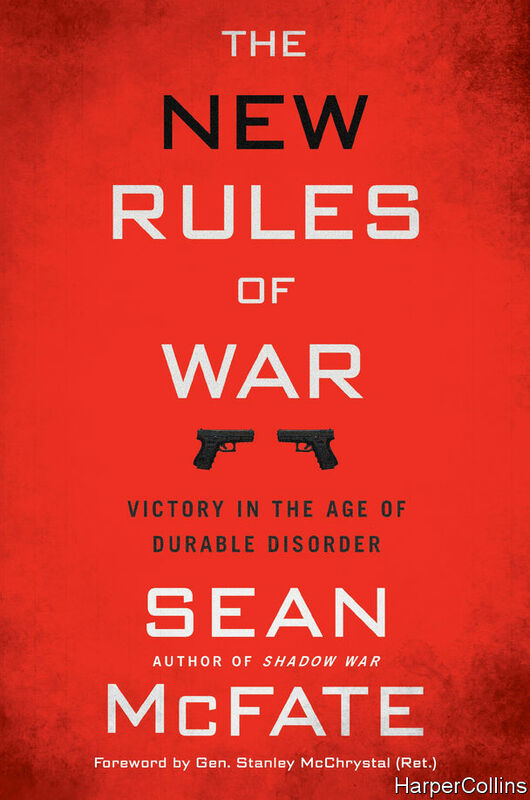 From the book “The New Rules of War: Victory in the Age of Durable Disorder” by Sean McFate. Copyright © 2019 by Sean McFate. Reprinted by permission of William Morrow, an imprint of HarperCollins Publishers.